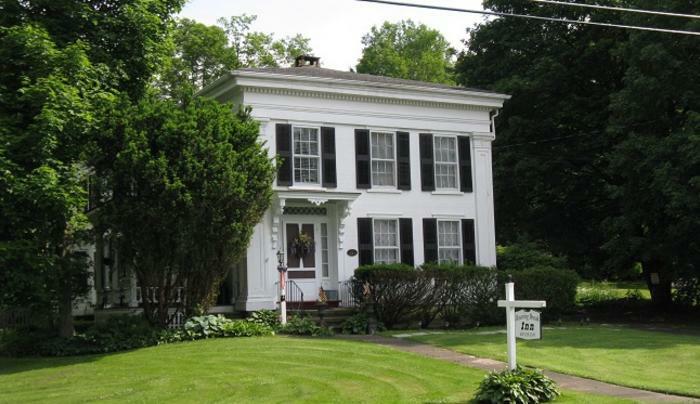 The Roaring Brook Inn was built as a private home in 1844 by Sylvester Rich, owner of the Country Store across the street. 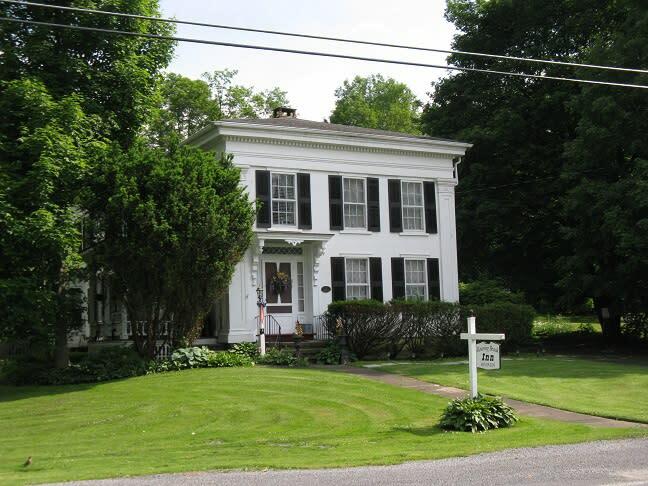 Located on the historic Catskill Turnpike, the house was built in the Greek Revival style of the time. The bed and breakfast has two guest rooms that share a bath. The Inn is open year round. Many guest find the outdoor porch comfortable after a day of visiting the areas attractions, or they can relax ia a private sitting room overlooking Roaring Brook. They are conveniently located near Oneonta, Delhi & Cooperstown.